We have installed Building Automation Systems (BAS) in schools, colleges and universities, office towers, apartments and condominiums, county and municipal buildings, grow facilities, industrial plants, hospitals, and residential estates. Internet access is available for clients, allowing login access from home, or anywhere in the world. 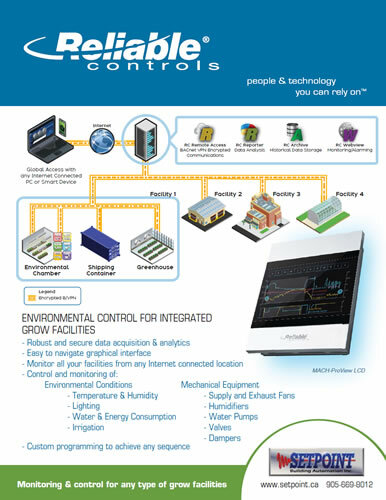 The brochure on the right highlights how we implement Environmental Control for Integrated Grow Facilities.